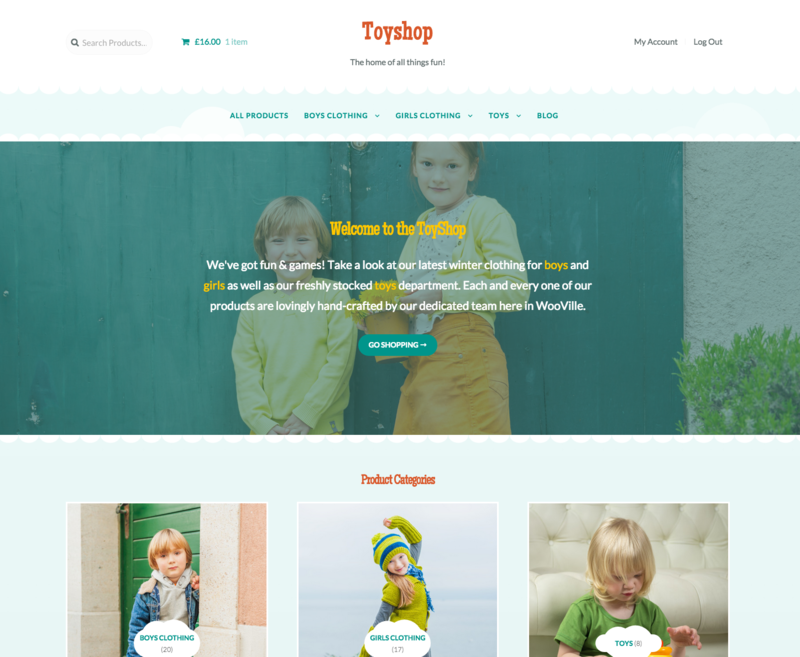 ToyShop is a child theme for Storefront, the official WooCommerce theme. If offers a carefree, friendly and characterful design – perfect for stores selling children’s goods. Bistro is a ToyShop child theme, so you first need to install and set up Storefront and then ToyShop afterwards. Download ToyShop from your WooCommerce.com account at My Downloads. Repeat steps 3-5 for the ToyShop theme from step 2. Once installation is complete and the key is activated for ToyShop, it’s time to configure and set up your theme. There are no specific image size requirements for ToyShop, but we provided the images sizes used on our demo for reference. The original uploaded images we used were 1,124 x 1,690 px. 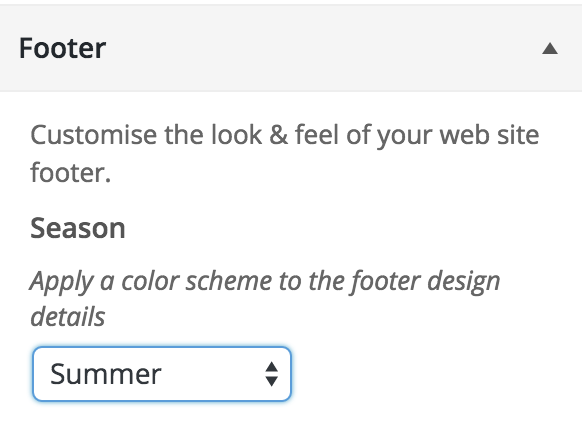 Remember to adjust your footer background color to match your chosen season! Note: We do not supply the exact images you see in our ToyShop demo due to copyright restrictions. The WooCommerce Dummy Data instead comes with our own unique unrestricted images that we can redistribute within product import data. ToyShop applies some specific styles to elements like buttons and the header layout, so these settings are removed from the designer to avoid confusion. Install the Storefront Product Pagination plugin. This is achieved using our Storefront Parallax Hero extension. Install the Storefront Reviews plugin. If you don’t want to display content simply don’t add any. To hide the title you can use this plugin which gives you the ability to hide the page title on any page across your site. Alternatively use the Homepage Control plugin to toggle the display of this component. A lot of WordPress tutorials will recommend inserting code snippets into a child themes functions.php file. This is to ensure that you’re always able to update the parent theme without losing your changes. As ToyShop is already a child theme, you aren’t able to do this. Any changes you add to ToyShop’s functions.php file will be lost when you perform an update. Instead, it is recommended that you add any code snippets to a customization plugin. We created a plugin you can use to do just this. Download Theme Customizations. On the demo there is pagination on the single product pages, how do I enable that? On the demo homepage, there’s a large image with some text overlaid, how do I do that? On the demo homepage, there’s a product reviews section, how do I add that? How can I customise my site when using a child theme?